and provide the information required in the form that is displayed afterwards. 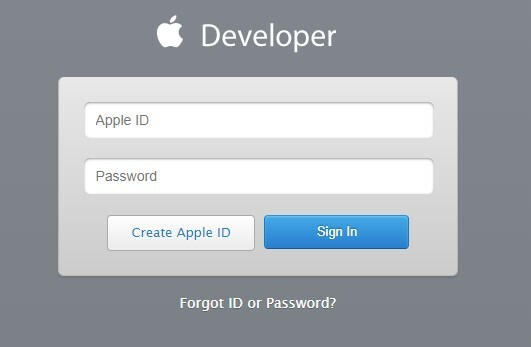 App ID Description | Name: This Name will be used to display the entry in the App ID overview. Finish the App ID setup by clicking on the “continue” button. You will be provided with an overview of the selected information. To finish the Setup click the submit button at bottom of the overview. Create a new entry by clicking on the „+“ Icon in the upper right corner. Select the option „App Store and Ad Hoc“ in the „Production“ Tab in the next window and confirm your selection by clicking the „continue“ button. On the next screen you will be prompted to create a CSR File. Please follow the instructions shown on the screen to proceed and press “Continue” after the CSR File has been created, to upload the respective File via the “choose file” option. Continue to the next page by clicking on the “continue” Button and Download the .cer file afterwards. To finalise this step click on the “Done” Button. To create a new entry please click the “+” icon in the upper right corner and select the “App Store” entry from the “Distribution” tab and continue the process by clicking on the “continue” button. Select the App ID that should connected to the mobileprovision from the drop down menu and continue to the next page by clicking the “continue” button. 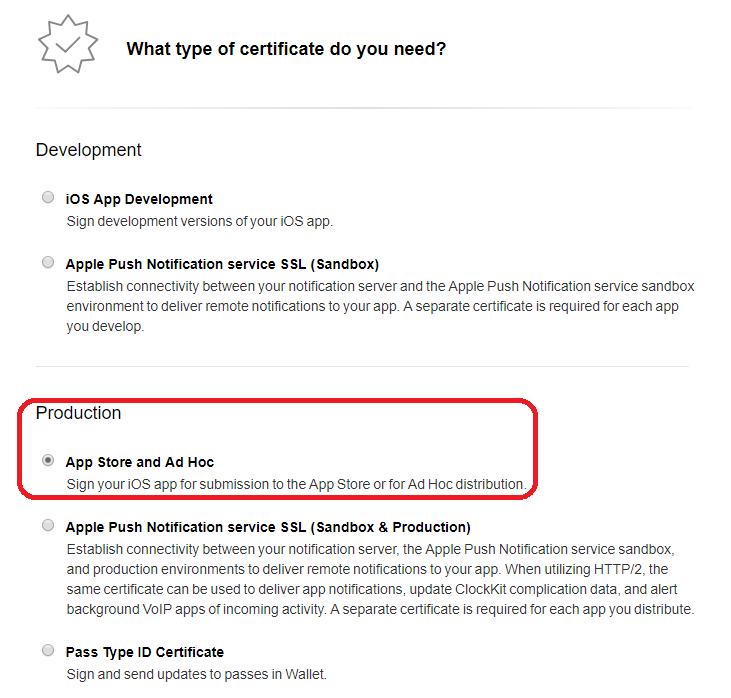 On the next page, select the certificate that should be connected to this mobileprovision from the menu and continue to the next page. 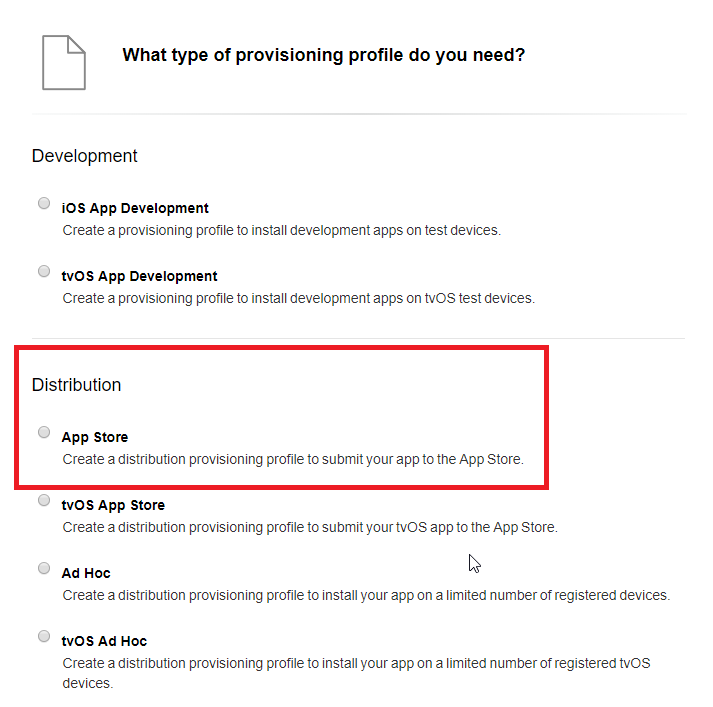 Enter the name for the newly created provisioning profile (this name should be the same as your Bundle ID) and click continue to download the .mobileprovision file to your local hard drive.